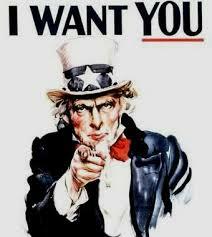 The term “War for talent” was coined by McKinsey & Company in 1997. It referred to the competition companies were facing to recruit and retain talented employees. In his report ‘Predictions for 2014’, Josh Bersin rightly said that ‘the war for talent is over and talent has won’. The war for talent might be over, but the need for technical and professional skills has never been higher. The rapid changes of our business environment, as well as the recent technological advances, have created an enormous demand for new and specialized skills. Recently I spoke to a Malaysian client in the Oil & Gas industry, who shared with me that the skills he needs in his organization, are not readily available in the market. An even bigger problem he said was the duration of the learning cycle. It can take almost 4 years for a young engineer to become an experienced contributor in his organization, and to grow them to leadership positions can take as long as 10 years. Unfortunately, he is not alone as many organizations are facing similar challenges. The answer to these challenges is an integrated approach to talent learning and development. All the elements of talent management, including talent learning and development, need to work as one integrated system. No one learning and development intervention stands alone, they need to be stitched together to address the various talent challenges. Talent development has always been closely linked with performance management. Looking at the range of performance management systems, one end of the scale can be defined as ‘pull’, using performance development techniques. The other end of the scale can be defined as ‘push’, using measurement techniques. Most companies are still managing for performance through performance measurement (Hay Group, 2006), often with very little added value to the overall performance and productivity of the organization. 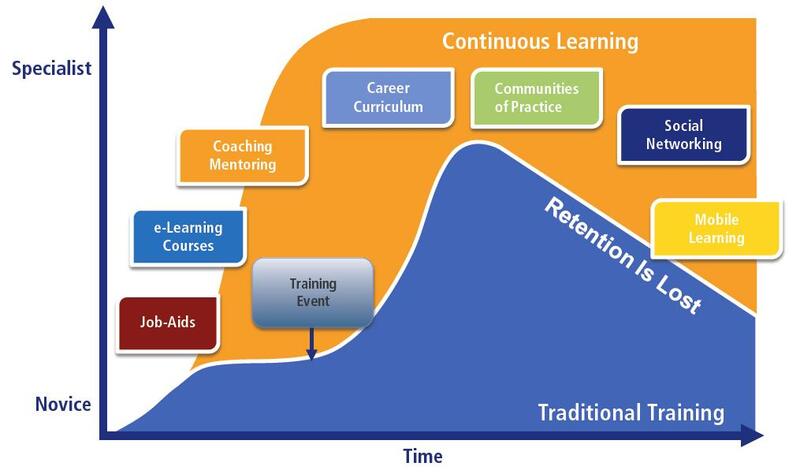 Performance development is mainly done through learning events i.e. training. Research shows that learning events only have a short and limited impact on performance and productivity. However, when we implement contextualized learning solutions, for example when training is followed up with coaching, performance and productivity increase soars. Research is showing that performance development through contextualized learning solutions, is much more effective in helping people develop skills and competencies, and has the highest business impact (see figure 1: Continuous Learning Model by Bersin by Deloitte, 2013). All this leads to one conclusion, in order for talent learning and development to be effective and add long-term value to your organization, you need to look at skills gaps today and into the future, and develop contextualized learning solutions to build a capability supply chain now. This entry was posted in Organizational Development and tagged contextualization, learning solutions, talent on May 20, 2014 by blogconcept2competence. So Proud of Our Customer!